I could always go for Mexican food, but in honor of Cinco de Mayo I had to of course whip up a delish vegan dish packed with festive flavor. Make homemade taco seasoning and mix well with refried beans. Layer in the bottom of a 8×8 dish. 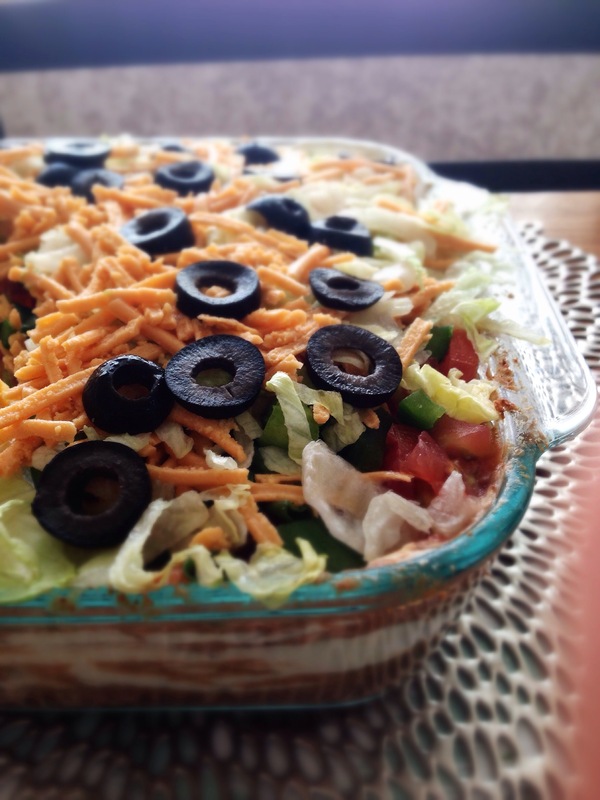 Mix sour cream and cream cheese well and layer on top of refried beans mixture. Mash the flesh of the avocados, add lime juice and garlic powder to taste and mix in cilantro. Layer on top of sour cream mixture. Layer green onion on top. Finally add sliced olives to the top layer.